PRAYER PROMPT ••• Day 3 of the flu and I’m tired of being tired. I’m tired of coughing so hard that I can barely catch my breath. I want to go to work and hate feeling like I’ve disappointed everyone because I’ve called out. I know they understand but I just don’t do sick very well. As frustrating as it is for me to be sick, I know God is great even right now when I feel terrible. He’s with us in all situations – from sickness to celebration. From disappointments and heartache to the times when we rejoice. I trust in God and I know He’s great. He’s not great just when things are going great; but He’s great all the time. 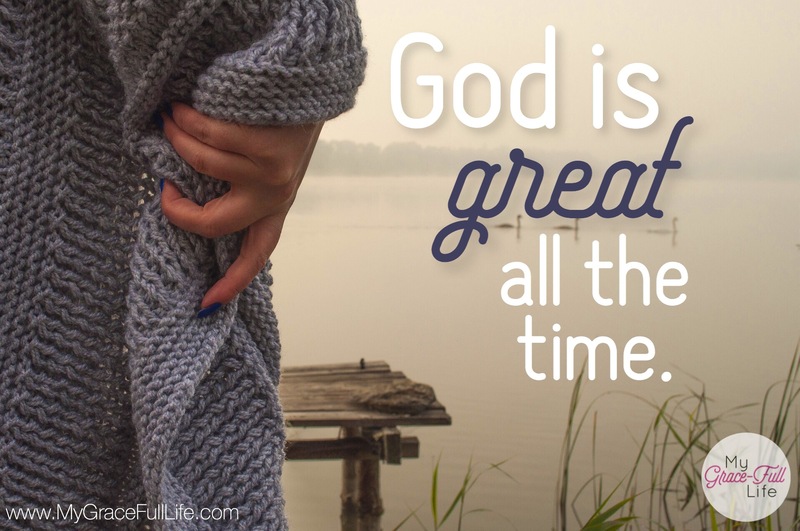 Today, as you pray, thank God for His greatness in all circumstances. Thank Him for being in control and for His goodness. Let Him know you trust in Him for all things. Next Next post: 2.3.18 Prayer Prompt: Why Are You Trying To Do This All Alone?